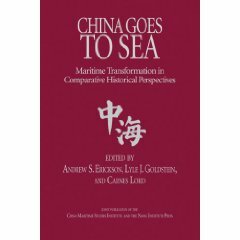 陆儒德 [Lu Rude], “美海上新战略浮出水面” [The New U.S. Maritime Strategy Surfaces], 人民海军 [People’s Navy], 27 November 2007, p. 3. 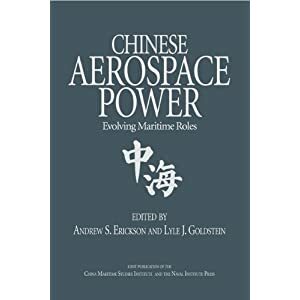 Translated by Andrew Erickson, in “Assessing the New U.S. Maritime Strategy: A Window into Chinese Thinking,” Naval War College Review 61.4 (Autumn 2008): 35-71. 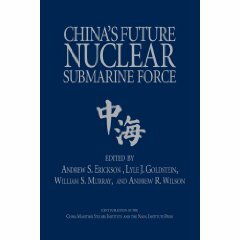 Required reading for the Naval War College Strategy and Policy Department’s Senior and Intermediate Leadership Courses. 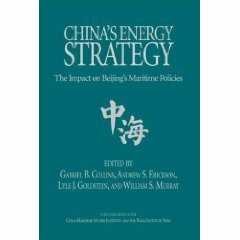 In order to cope with threats and safeguard U.S. interests, the new U.S. maritime strategy puts forward six major missions for sea power: deploy decisive sea power in a forward position in limited conflicts of regional scale; deter war between major powers; win wars for the nation; safeguard homeland security from long-distance; promote and maintain cooperative relationships with more international partners; and prevent or eliminate regional destruction before it affects the international system. To accomplish these six missions, U.S. sea power must possess the corresponding six core capabilities, including the capability to be in a forward position (present global deployment), deterrence capability, sea control capability, force projection capability, the capability to safeguard public order at sea, and humanitarian assistance and disaster response capability.